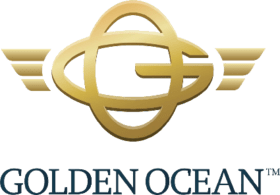 Golden Ocean Group Limited, a shipping company, engages in the transportation of dry bulk cargoes in the Capesize and Panamax markets. The company transports ores, coal, grains, and fertilizers along worldwide shipping routes. As of June 18, 2015, its fleet consisted of 46 operating vessels, including 18 vessels equipped with fuel specifications with an aggregate carrying capacity of approximately 5.4 million deadweight. The company is based in Hamilton, Bermuda.